This Christmas, I finally got around to reading a book that shook the world of international development almost ten years ago: The Bottom Billion, based on research by Paul Collier plus a host of collaborators. Paul Collier argues that instead of seeing poverty as the problem of the 5 billion people who live in developing countries, that is, countries that are substantially poorer than for instance the United Stated, South Korea or Luxembourg, we should focus on the 1 billion people living in the poorest countries in the world. The book offers a number of strategies that the international community can follow to tighten the growing gap between the 5 billion that will be ok, and the 1 billion than might not be. These strategies are designed to curb the existing problems the bottom-billion countries suffer from: unceasing military conflict; the possession of natural resources, such as oil, which profits are spoiling the reliability of their politicians and the soundness of their economical investments; the absence of infrastructures through which they can reach potential markets for their products; and bad economic policies and bad governance. Much of the book’s research was convincing to me. An important limitation, however, seems to be its exclusive focus on countries-as-a-whole. Problems are identified as residing in national governments; solutions in the relations between those national governments (‘international relations’), and especially in interventions by the wealthiest states, e.g. the G8 or, nowadays, the G20. To be fair, this book is aimed at readers living in those wealthy countries (referred to in the book as ‘we’). So the focus on international relations is not altogether surprising. Still, the book makes the assumption that as soon as the economies of the bottom-billion countries will take off, everyone in those countries will sufficiently benefit from this. In other words: as soon as state-level statistics will be all right, everyone in those states will be all right. Collier leaves you curious about the dynamics within the countries at risk of ‘falling behind’. What happens between their citizens and their national and local governments? Can we feel reassured, once the national government of a bottom-billion country has secured a good tax income? How will the grown wealth of the country as a whole, reach all parts of the population? This bottom billion that we should be concerned about – is that the entire populations of the 58 (mostly small) countries that he mentions? Or is it, rather, large chunks of a far greater number of countries, including huge countries like India and Mexico? One of the global game-changers over the past years has been the fact that wealth disparities between countries have for the first time since many centuries been falling. At the same time, however, inequality among citizens within countries has in many countries been on the rise since the 1980s, and especially since the crisis of 2008. For this reason, I would have liked to hear more about intra-national politics in Collier’s book. Another question raised by the book’s emphasis on economic growth is the question whether the economy of a country can ever be big enough, or whether it will always need to grow further. Will the bottom-billion countries have to grow until the people in them will have reached a certain living standard? Or until they have reached a nominal income comparable to the wealthier countries? Will it help if the growth of the wealthy countries slows down (which has happened after 2008)? Or is the global aim everlasting growth? But then again, is this even theoretically possible, considering the limited amount of soil and other natural resources on the planet? Without giving his readers a rough idea about where these issues fit in with his development theory, some important parts of his story remain unconvincing. Still, I was pleased to see that Collier’s ideas have not been standing still since the publication of The Bottom Billion. Whereas in the book he writes a little derisively about ‘sustainable’ or ‘pro-poor growth’, in his later popular publications he is not afraid to speak of ‘inclusive’ and even ‘sustainable growth’. 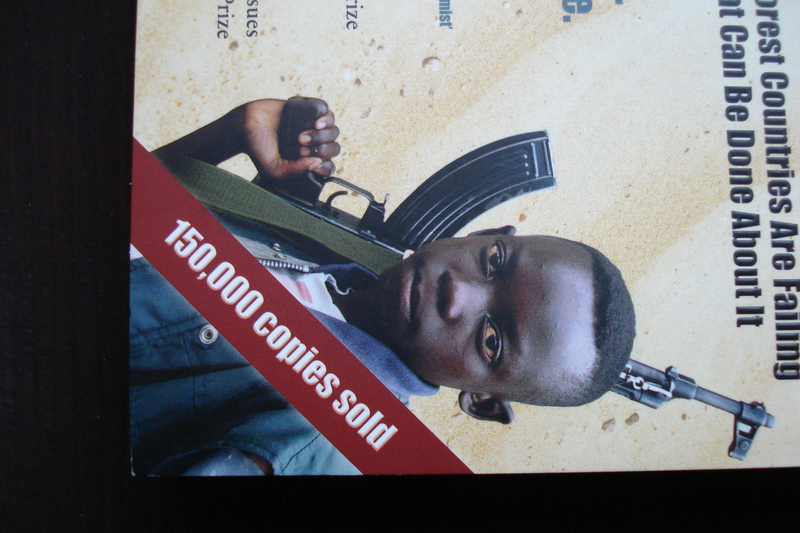 One cruel irony that I cannot resist sharing: have a look at the banner which the publisher has placed right across the cover image of a child soldier. Two critiques of Collier’s book that raise similar points as I have tried to do here, and which come from specialists in the field, are by A. Sumner and Michael Lipton. I find it impossible sometimes not to view the historical period I investigate through the lens of current affairs. 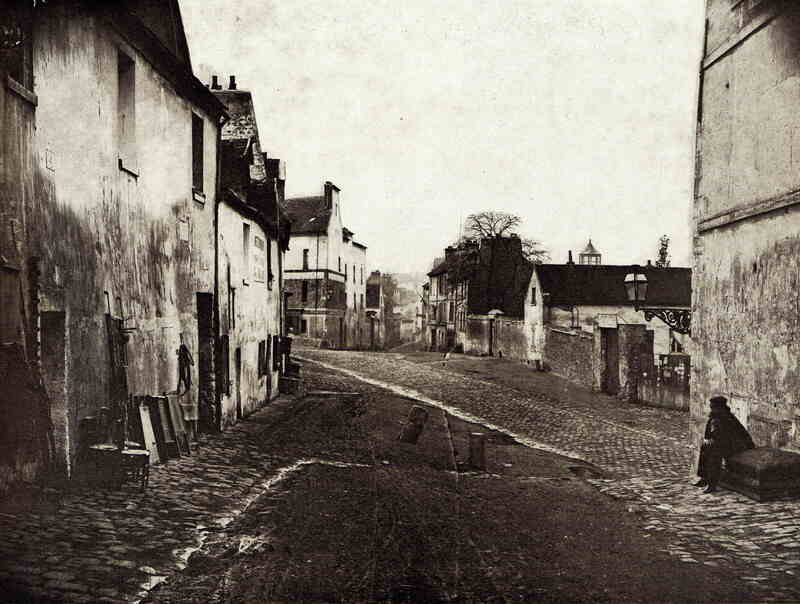 The current debates about the place of Britain in the world, and foreigners’ place in Britain, inevitably resonate in my research, which is about European travel in the nineteenth century. 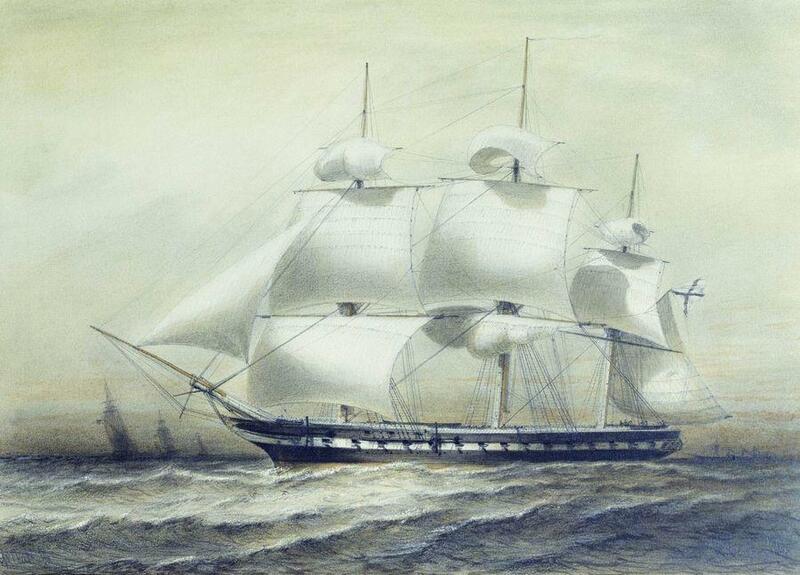 Goncharov’s ship on which he circumnavigated the world: Alexey Bogolyubov, Fregat Pallada (1847), now in the Central Naval Museum, Saint Petersburg; image from Wikimedia Commons. everyone who wants to go to England must willy-nilly acquaint himself [with the English language]: whoever doesn’t know it, better not go to England. Here, like something rare, they hang a sign saying, in large letters, Ici on parle français. Like a nineteenth-century equivalent of the signs you see on hotels in some countries nowadays – ‘we speak your language’, touristic shops and hotels in Goncharov’s London could distinguish themselves by speaking the common European language. Speaking this common language was not self-understood, let alone speaking further languages. The isolationist views that many Britons today hold are still related to the low proportion of people who understand a foreign language. To make things worse, if the UK leaves the EU it may lose access to the Erasmus programme which allows European students to spend a semester abroad and improve their linguistic skills. If we don’t pay attention, Goncharov’s observation might therefore only win in poignancy the coming years. Paying euro-cents instead of pennies: it is a mistake I have made myself many a time when returning to Britain after a short trip abroad… and every time there was the suspicion with the person I was paying, that I was trying to play a nasty trick on them. The reason they thought so, was of course that the British economy and the pound sterling are among the strongest of the world. And they were so in Goncharov’s days as well as our own. For instance, because of their relative wealth, the British elite of the nineteenth century could easily travel around Europe and settle down cheaply in Italy or Spain. I have quoted from Klaus Goetze’s (!) English translation of The Frigate Pallada with St. Martin’s Press (New York, 1987), pp. 32 and 37.